Most hip-hop artists are relying on social media heavily. The problem with doing that is that your social media accounts could be deleted at any moment, for any reason– and guess what happens to all of those followers and likes that you’ve been working so hard to get? Hint: It’s like they never existed in the first place and there’s little you can do about it. Even if your social media accounts never get deleted, they eventually fade away and take your stats with them. Remember Myspace? This lack of control is one of the main reasons that your website should be your main platform. It is one of the only platforms that you’ll actually own and fully control. Other platforms like your social media accounts should be used to connect with your fans and funnel them into a platform that you control (Ex. Your website or email list). Creating a website is a lot easier (and cheaper) than most music artist think. Don’t get me wrong, some websites can cost several hundred to thousands of dollars depending on what you’re looking for. But, you don’t need one of those websites to get you started. To make this overview quick and simple, I’m going to tell you exactly how to create your music website without going in-depth. This will give you an idea of what is required and allow you to skip over any sections that you’re already familiar with. Customize the theme to fit your preference. I’ve built most of my websites, including ArtistShortcut.com using this exact same method. A domain name is the “ThisIsADomainName.com” part of the URL. It’s basically your website’s internet address. Once a domain name has been purchased, no one else can purchase it until it expires (unless the owner renews it). 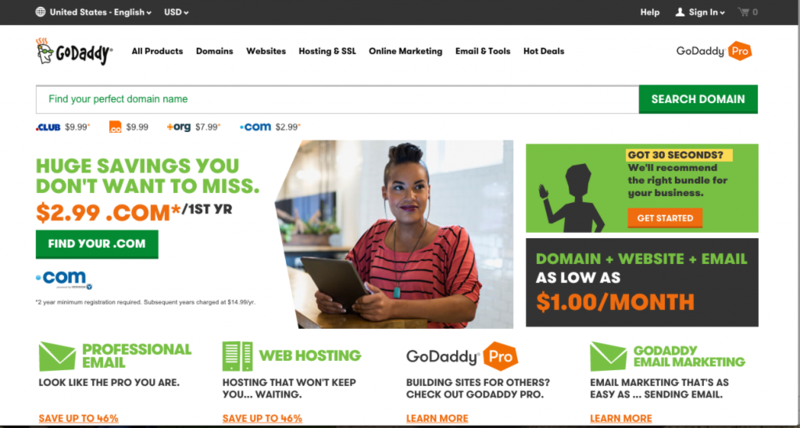 You can purchase your domain name from websites like Godaddy.com or Namecheap.com. I have used both companies and haven’t had any problems with my domains. Domain names can be purchased for relatively cheap. You should expect to spend $10-$20 per year for a domain name. I’d also recommend searching online for coupons from whatever company you chose to buy your domain name from. I’ve purchased domain names for as low as $0.99 for the first year. Website hosting is like your domain name’s home on the internet. It’s basically a computer that is connected to the internet 24/7 and companies rent that space out to people like you and me. For most of my websites, I’ve usually used Hostgator.com and haven’t had many problems with them. You can purchase a basic hosting plan for about $8 to $15 per month. Some people will tell you to sign up for the more expensive VPS plans or what not, but it’s not necessary for most small-midsize music artist. A basic hosting plan will not only be sufficient enough to get you up and running, but will save you a little extra money as well. By now you should have your domain name and your website hosting, but you’re not done yet. The only way for your website to live on your hosting account is if you forward your DNS (Domain Nameservers) to match those in your hosting account. Ayo Darius, what the hell are nameservers and how do I forward them? Don’t worry, I’m going to show you show you everything you need to know. Your nameservers basically tell your domain name where to live. Once you purchase a domain name, it usually uses the nameservers of the company you purchased it from. This is why we change them to match your hosting account’s nameservers, because we want your domain to live on your hosting account. Make sense? If not, use the comment section below this post and ask any questions. I’ll make sure to answer them to clear things up for. Installing WordPress will create the basic structure and functionality for the website you’re creating. WordPress is a FREE CMS (Content Management System) that makes updating your website a breeze, even if you’re not a website designer or programmer. 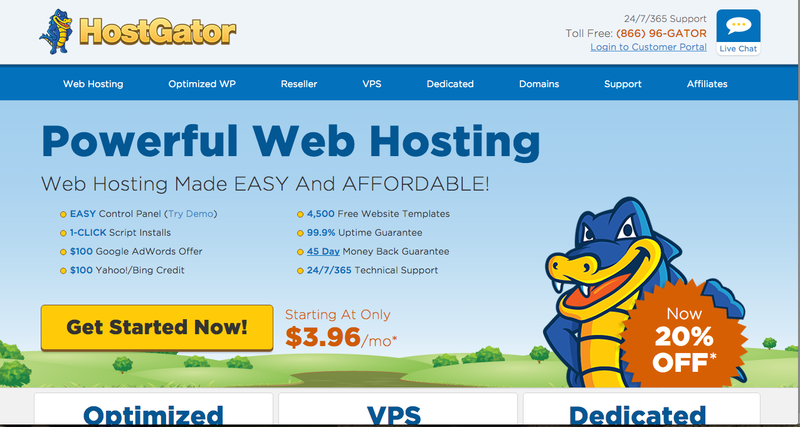 Log into your Hostgator account’s cPanel and scroll down until you see the “Software and Services” section. Click on the “Quick Install” icon . Look for the “Popular Installs” section in the left sidebar and click on WordPress. 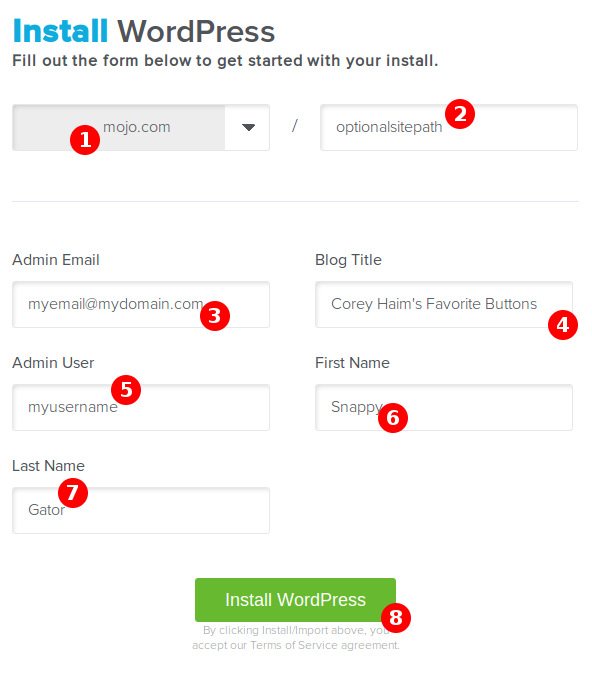 Your WordPress site will begin to install itself. Once finished, you will receive a notification, as well as an email containing your username, password, and the login URL. 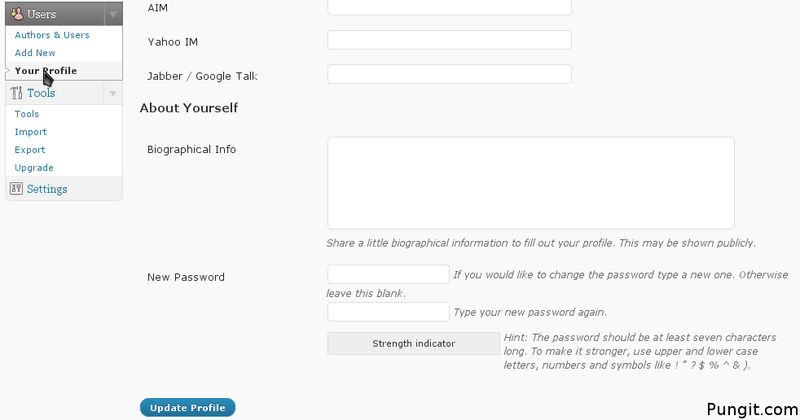 After logging into your account, make sure you change your password. Go to the “Users” section inside your WordPress admin. Click the “Your Profile” tab. 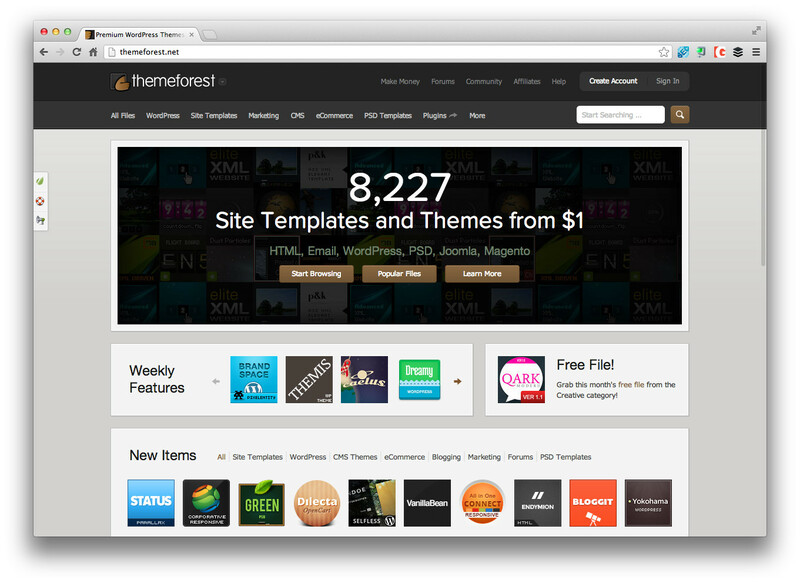 While you can find free wordpress themes all over the internet, I’d recommend purchasing one. You’ll usually find much better themes this way. Themeforest.net has a ton of wordpress themes. Most of which have a good amount of customer reviews. This way you can search for a few themes that you like and then narrow them down based on customer reviews, design, etc.. 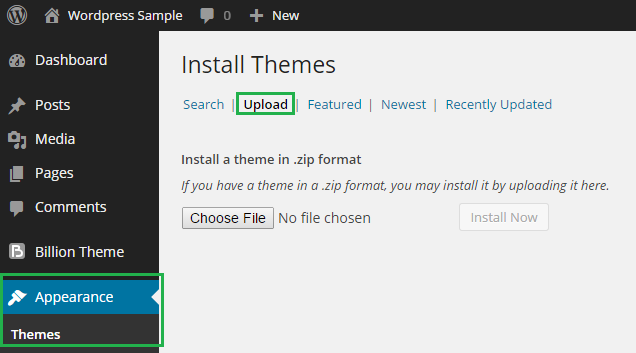 Installing the wordpress theme is pretty simple. After purchasing it, you’ll be able to download a ZIP file that contains your theme. Download the ZIP file and extract it. Inside, you’ll usually find 2 folders; 1 with the main theme and 1 with the “child theme”. Not every theme will follow this layout, but many do. So for now, just ZIP the main theme folder back up. Go inside your WordPress admin and go to the “Appearance” section. Click on the “Themes” tab. And there you have it, your theme is uploaded and will ask you if you’d like to activate it (Yes, activate it). 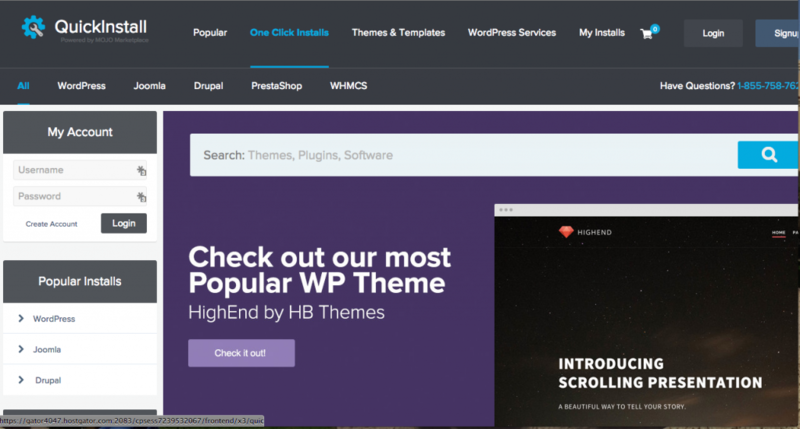 Customize your WordPress theme. Every theme will have a different method of customization. It usually involves a tab appearing inside the WordPress admin left sidebar. But, however it’s done, it’s usually straightforward and simple. Most themes will have documentation and a support forum for you to look at and participate in if you find yourself getting stuck. So go crazy and get your theme to look exactly like you want it to. I hope this guide has helped you create your hip hop music website. If you have any questions, don’t hesitate to ask using the comment form at the bottom of this post and I’ll respond as soon as possible. Thanks! Do you have to have a desk top computer to do this or can you do it off of a phone? Thanks a lot for this piece am really looking forward to trying this out when I get a PC.Am an upcoming rapper but I wanna be different, u wanna do a kind of genre that’s not that popular in my country.. Any help please ..am a Nigerian tho .19years. I have learned a lot and this is the best inspiration of hip hop I ever had. Keep on motivating rappers on how to make it. Im in South Africa. I love music and adore it. Im 22 years old with out a single track but I wanna make it. The question is! Do I still have time to make it? Yes, there’s still plenty of time for you to make it! So I just spent a nice little chunk of change getting all of this set up following your instructions I bouta a domain I purchased a host I installed WordPress and bought a theme I changed my password as well as got the email telling me my wordpress was installed but when I clicked the links to my new website off of the word press email and all I get is the godaddy parked page how do I get on my word press to put the theme I just bought into it? How are you uploading the music on to your website?